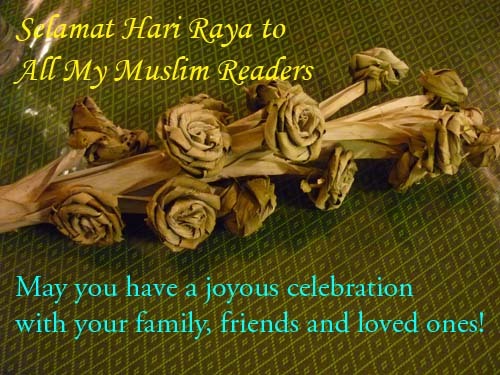 I would like to take this opportunity to wish you a Selamat Hari Raya! Enjoy the good food and hope you travel back to your hometown safely. This bouquet of flowers is made from pandan leaves. Courtesy of my colleague from Singapore. His mom made this beautiful bouquet. Have a wonderful holiday and celebration!